Dillon County Council Chairman Archie Scott is speaking out on the recent vandalism of the bathroom at the Riverdale Park. Scott said there had been complaints about getting the park fixed up including getting a bathroom and running water. In response to these complaints and with limited resources, the county started with the bathrooms. 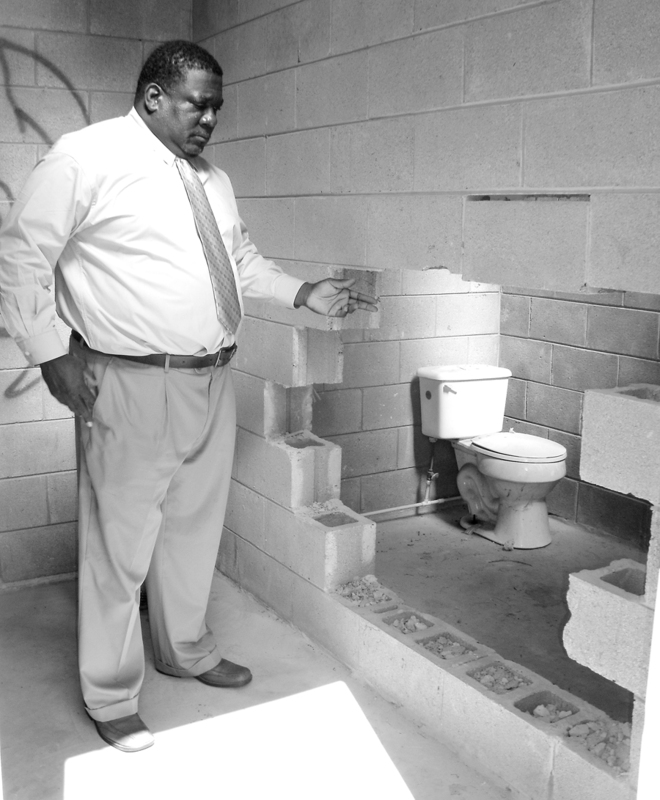 A setback was suffered, however, when the bathroom was vandalized as shown in the photo. Scott said when people vandalize what has been done that this type of destruction is a set back. He said they do what they can to offer necessary services, but it wastes resources when people vandalize. Scott said they need the community’s help to address this issue. He said when this type of vandalism happens it sets back the whole community.